A month ago Glenn Maxwell scored 145no off 65 balls in a T20 match against Sri Lanka. That innings at Pallekele has been surpassed by only one Australian player – Aaron Finch’s 156 versus England at Southampton in August 2013. In the second and final T20 last month against Sri Lanka at Colombo, Maxwell made 66 off just 24 balls. In that innings, he equalled the record he jointly held with David Warner for the fastest 50 by an Australian in a T20 – 18 balls. 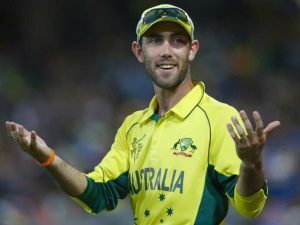 Roll on a month and Maxwell is not in South Africa with the Australian ODI team. The role of the spinning all-rounder is being filled by Travis Head. At just 22, the selectors have identified Head as being a long term prospect at international level. The South Australian selectors had already taken the remarkable step of appointing him Redbacks captain at 21, the youngest of all-time. His meteoric rise to international limited-overs ranks came on the back of consistent performances for the Adelaide Strikers and Redbacks. However, those performances have primarily been with the bat. Like Maxwell, that is the strength of his game. To date, in his 32 career T20 games he has bowled just 18 overs, claiming 6 wickets at an economy rate of 8.8. In his 42 career List A games he has bowled just 70 overs for seven wickets at 64 with an economy rate of 6.3. In the current ODI series against South Africa, Australia’s bowling has been its Achilles heel. With Mitchell Starc and Josh Hazlewood being left at home to rest-up ahead of the forthcoming twin Test series against the Proteas and Pakistan and with the likes of James Faulkner, Nathan Coulter-Nile, James Pattinson and Kane Richardson either injured or coming back from injury, Australia’s bowling stocks were always going to be thin. Three debutants – Chris Tremain, Daniel Worrall and Jon Mennie – have all been thrown into the furnace against a quality batting line-up. The trio had less than 60 List A wickets between them when they boarded the plane for South Africa. Skipper Steve Smith’s task was always going to be a tough one with such an inexperienced attack. It was not helped with the selection of Head. Australia faces the very real prospect of a humbling 5-0 series loss having dropped the first three games with the most recent loss on the back of South Africa posting the second highest successful second innings run chase in ODI history. Smith has been hamstrung as to who he can throw the ball to and when it comes to Head, he has thrown it in his direction very seldom. Through the first three games he has bowled a mere seven overs, picking up one wicket while conceding 68 runs. With the bat, he has scored 104 runs in his three innings at a strike rate of 128, a number greatly aided by 35 off 18 balls at Durban. Even with that fillip to his strike rate, his overall mark is 85 from his ten matches. By contrast Maxwell’s strike rate from his 67 ODIs is a whopping 125. Maxwell has continuously copped criticism for inconsistency with the bat through his career to date. Much of it is warranted. He lost his place in the ODI team on the back of a horror run with the bat in New Zealand and the West Indies earlier this year. But he showed in Sri Lanka what he is capable of and he would have hit South Africa in arguably the best form of his career. However, it his experience with the ball would have provided Smith with a far better option than Head’s part-time tweakers. Maxwell has claimed 45 wickets in his 67 ODIs with an economy rate of 5.5, on a par with specialist leg-spinner, Adam Zampa and not far from Nathan Lyon’s ODI economy rate of 4.9. It may not have made a great deal in the final outcome of the series but the inclusion of Maxwell would have provided a better balanced side. "I believe each human being has the potential to change, to transform one's own attitude, no matter how difficult the situation"